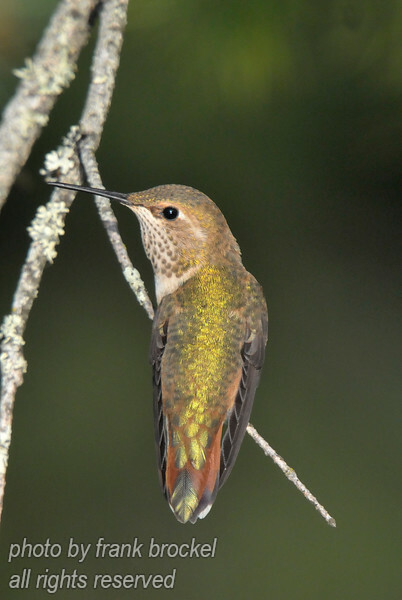 A Caliope (Stellula calliope) hummingbird resting on a branch. The Calliope prefers high mountains, and has been seen as high as 11,000 feet. It builds its nests over creeks or over roads next to streams or lakes, usually repairing the previous year's nest or constructing a new one atop the old. This bird usually forages within five feet of the ground.